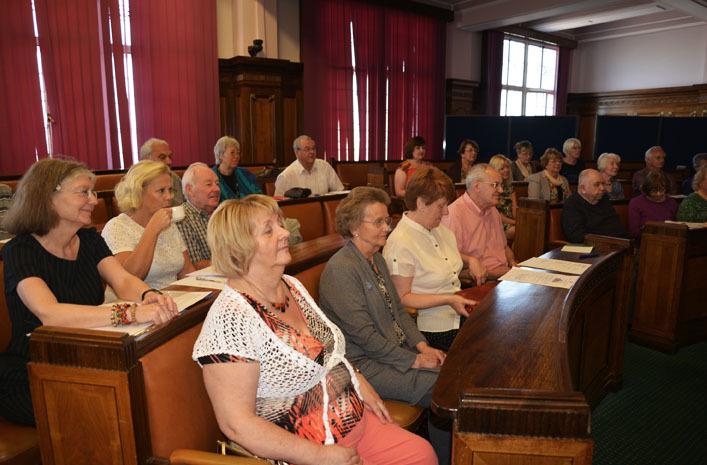 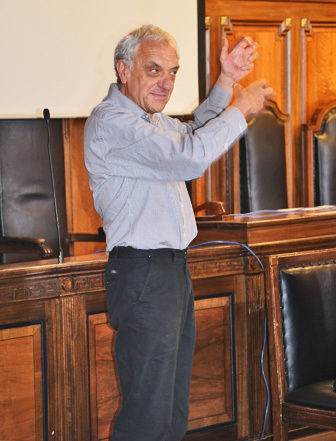 The AGM of the North West Twinning Federation was held on 17 May 2014 at County Hall Preston. 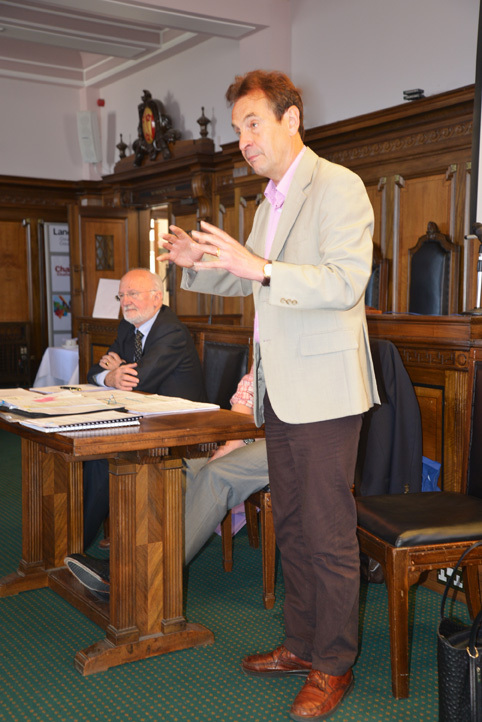 Federation secretary Jürgen Voges addresses the meeting. 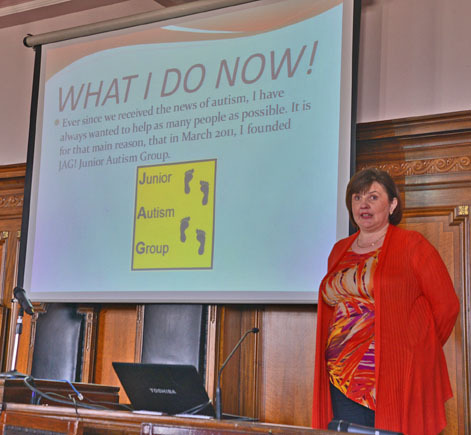 Rebecca Taylor presents information about her autism support group, a presentation that she has already given in Kalisz, Poland and due to give in Almelo, the Netherlands. 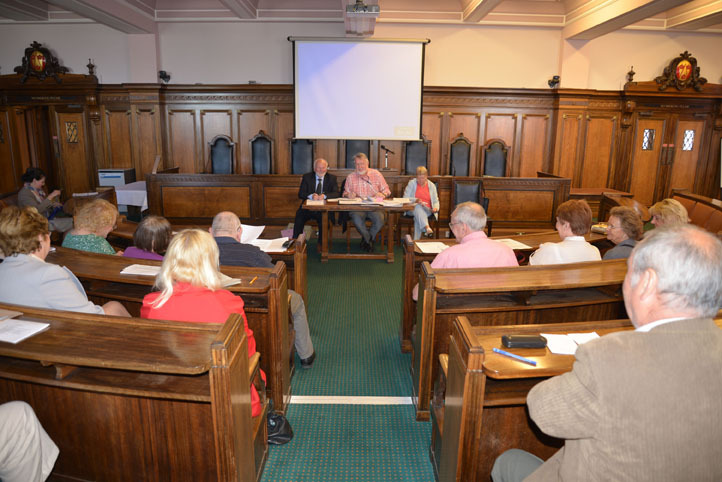 The committee: Chairman Derek Smith, Secretary Jügen Voges, and Minutes Secretary Ruth Gibbons address the meeting. 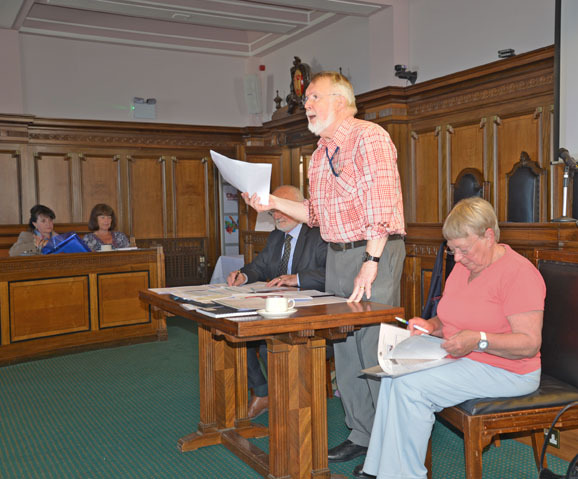 Communications Officer David Collier explains his rationale and vision for the Federation website.